Whoah, how did I never know about this before? As someone who is passionate about the Sun, the nearest and easiest-to-observe star in our galaxy, dramatic and amazing, I should have had this in my Faves long ago and shared it with everyone right away. Here you go: NASA's Helioviewer project! You can view images and videos of the Sun from many sources, take screenshots and videos of what you see without special software, and share them. Like this! Click the image to see NASA's Helioviewer website. And you can also make movies (though I've yet to figure out why mine aren't showing up on YouTube). 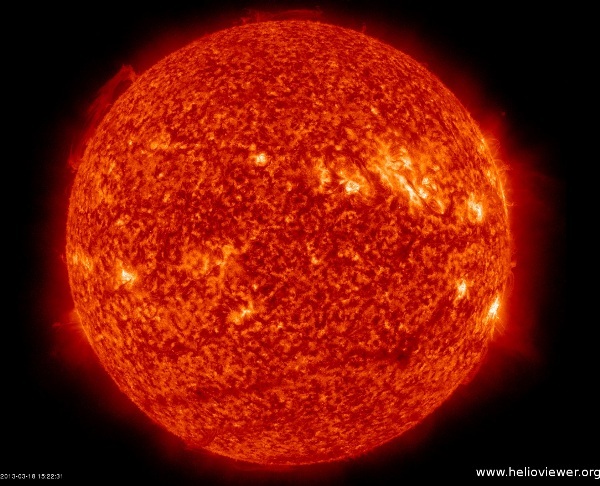 Helioviewer.org is an open-source project for the public to view imagery based on a variety of solar and heliospheric data. The project is funded by ESA and NASA. Cool beans. NASA is full of AWESOME.